Mosi-oa-Tunya translates as ‘the smoke that thunders’ and, as the name suggests, this small Zambian park is all about the world-renowned Victoria Falls and Zambezi River. 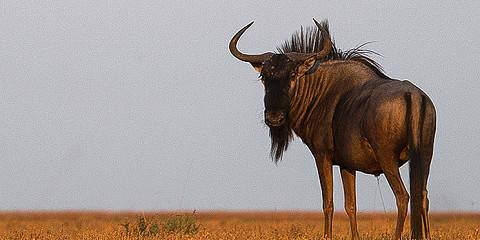 You will likely see elephants, buffalo, hippo, general game, and a plethora of birds. If you are fortunate you might even glimpse one of Zambia’s relocated white rhinos, but this is not a park anyone should focus on for its wildlife value alone. If you have come to admire the Zambezi thundering over the edge into a gaping abyss – and it’s a sight well-worth seeing – then you should certainly consider taking a game drive, boat cruise or microlight flight over Mosi-oa-Tunya to spot a few animals. But, with a main road cutting through its heart and Livingstone town right next door, this small park is busy: it is not a wildlife or wilderness area for serious safari goers nor those in search of peace and tranquillity in the African bush. Named after the local name for Victoria Falls – Mosi-oa-Tunya, meaning the Smoke that Thunders – this small park is a fixture on almost all safari itineraries through Zambia since it protects the Zambian half of the waterfall that justifiably made a recent National Geographic list of the seven natural wonders of the modern world. The mile-wide waterfall is utterly spectacular and an unmissable sight – I’ve visited it perhaps six times, and its stature grows with every visit – but the part of the park that stretches upriver from the waterfalls is also enjoyable for its wildlife, which includes elephant, buffalo, baboon and vervet monkey. Game drives can feel a little congested, so I would recommend taking a canoe trips along the stretch of river facing the park. The riverine forest hosts some interesting birds, including the beautiful Livingstone’s turaco and localised Livingstone’s flycatcher, and the gorge below the falls is a breeding site for Taita falcon, augur buzzard and black eagle. 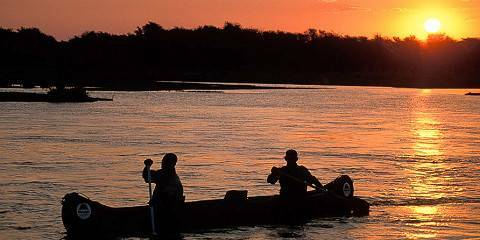 Mosi-oa-Tunya stretches from Victoria Falls in a northwest arc along 20 kilometres of the Zambezi riverbank. For me there are two special vantage points for seeing the Falls from the Zambian side. The Knife Edge Bridge overlooks the main falls, Eastern Cataract and Boiling Pot where the river turns and heads down the gorge; you may spot people white-water rafting in the rapids below. During the dry/low water season, a shallow rock pool, known as the Devil’s Pool, appears just off Livingstone Island so close to the top of the Falls its close enough to peek over the torrent of water as it gushes over. You can drive around the whole park in a couple of hours and the animals are relaxed and easy to spot. But I prefer a gentle sunset cruise on the Zambezi, when elephant, giraffe, zebra, buffalo, and numerous antelope make a timely appearance for a sun-downer drink themselves. This is the Zambian side of the Victoria Falls. Part of this National Park is the direct area around the Falls and another section is a little game park. You can take or leave the game park, which is a sanctuary for animals like zebra, buffalo, giraffe and a few rhinos. A few hours should be all you need to do the circuit and see most the animals. Obviously the main reason you would come here is to see Victoria Falls. You have to see it to believe it. This magnificent waterfall is one of the highlights in Africa. People always ask me, which side they should go. If you’ve come this far, do yourself a favour and take in both views from the Zimbabwe and the Zambia side. Both give a completely different perspective and both completely blow my mind. Mosi-Oa-Tunya National Park is the gateway to the Zambian side of Victoria Falls. Over the years this incredible natural wonder has exhausted all the superlatives in the dictionary in attempts to describe it, but none manage to do it justice. You have to see the falls for yourself. Once your jaw has returned to its usual position and your eyes have stopped popping out of your head, sign up for some of the unprecedented number of adrenaline activities on offer in and around the falls and the national park. Whitewater rafting down the rapids from Batoka Gorge was one of the best and scariest things I’ve done anywhere in Africa. Peering over the precipice from the aptly-named Devil’s Pool then enjoying high tea on Livingstone Island was another highlight, as were the evening boat/booze cruises, during which you’ll most likely see elephants, hippos and crocodiles. You can also game drive inside the pretty Game Park section of the national park, which is separate from the falls section. The entire park is only 66 square kilometres, but this section is surprisingly quiet and game rich considering its size and its proximity to the falls and the busy town of Livingstone. We saw a few enormous herds of buffalo, and I also saw white rhino (a great rarity in Zambia) on a guided bush walk. I love Victoria Falls from every angle, close-up or at a distance. Whether you’re witnessing it at ground level, through the window of a helicopter or from the back of a microlight, in low water or in flood, it always provokes a monumental reaction of excitement and respect for the power of nature and gravity. But opinions are divided as to whether the best views are from the Zambian side, or from Zimbabwe. I have to say, I prefer the Zimbabwean side – there’s more space, more viewpoints and you get to see the mighty cataracts face on. But the Falls are not the only reason to visit Zambia’s Mosi-Oa-Tunya National Park – you can also go on game drives here. The wildlife-watching isn’t exactly spectacular, but if you’re into antelopes, giraffes and zebras you’ll be happy enough, and there are a few rhinos too. Plus, there are adrenaline activities to get your teeth into. Unfortunately however, the accommodation in this area is rather pricey. This tiny national park is divided into two sections: Victoria Falls World Heritage National Monument Site; and the Game Park. 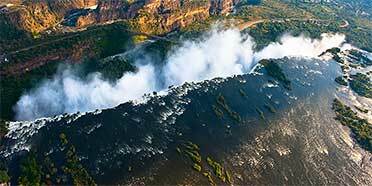 The former exists for the purpose of ogling one of the continent’s great natural wonders - thundering Victoria Falls. This immense spectacle will sear itself in your mind - bring a rain jacket - not for rain, for the spray! If it’s wildlife you’re after the Game Park is where you should be. For such a small area there is a large number of animals including elephants, buffalo and white rhinos. For most of the Big Five however you’ll need to leave more footprints in Zambia. Located along the upper Zambezi River, this small park provides sanctuary to elephant, buffalo, zebra, giraffe and a variety of antelope. Taking a game drive around the park’s circular route is a relaxing way to spend a few hours, however, the main reason to come here of course is the Victoria Falls. 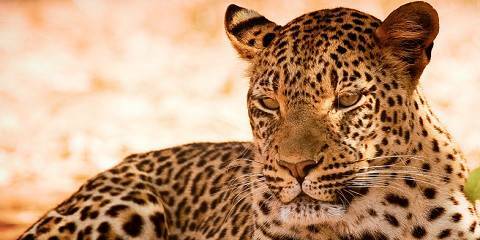 A main stay of top 10 lists of African experiences, it really is a sight that has to be seen to be believed. The best time to visit is during the rainy season when the water flow is at its swirling, thundering peak. That said, the benefit of visiting during the dry season is that you can access the world’s best natural infinity pool – Devil’s Pool. Perched on the literal edge of the falls, those who are brave enough can swim right up to where the Zambezi spills over a chasm twice the height of Niagara Falls. It’s not for the faint-hearted though. Peering over the edge of the falls has to rate as one of the scariest – and most exhilarating – experiences I’ve ever had… And not one I’ll be rushing back to do again.